No-interest patient payment plans have long been thought of as great solutions for patients who can’t afford immediate payment. On paper at least, these types of plans seem legitimately beneficial, and healthcare providers and medical billing staff across the country truly believe that these plans are helping patients absorb the potentially disastrous financial impact of high-cost treatments. They believe it, or else they wouldn’t be offering them. Unfortunately, as we have found in our work with thousands of healthcare providers and patients, there is a hidden flaw in the no-interest patient payment plans that can have extremely negative effects on both patients and providers. So, what’s the flaw? No one’s winning. That’s it. To understand better, let’s first look at the patients. 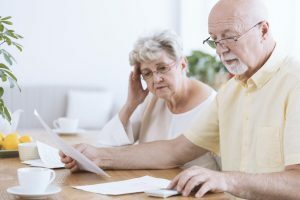 Our clients tell us – and research bears out – that patients who receive a no-interest payment plan option from a healthcare provider often end up having to put payments on a high-interest credit card. So even if you as the provider are doing your best to keep patients financially solvent, all that’s really happening is that their debt is being transferred to a different payment mechanism. A payment mechanism that is specifically designed to keep people in debt. TransUnion Healthcare is estimating that 95% of patients will fail to fully pay off medical bill balances in 2020. If even a relatively small portion of those balances end up on high-interest credit cards, Americans struggling with medical debt will rack up charges in the multi-millions. As for the healthcare providers, new transparency laws mean that if you offer a no-interest patient payment plan to anyone, you must be fully transparent about its availability to everyone. (We recently dove into depth on this topic in another blog post, Healthcare Price Transparency and its Effects on Your Business.) That means you’re not only not accelerating cash flow, but you’re also actually decelerating it among potentially prompt payers. It’s a lose-lose. The only winners are the credit card companies. 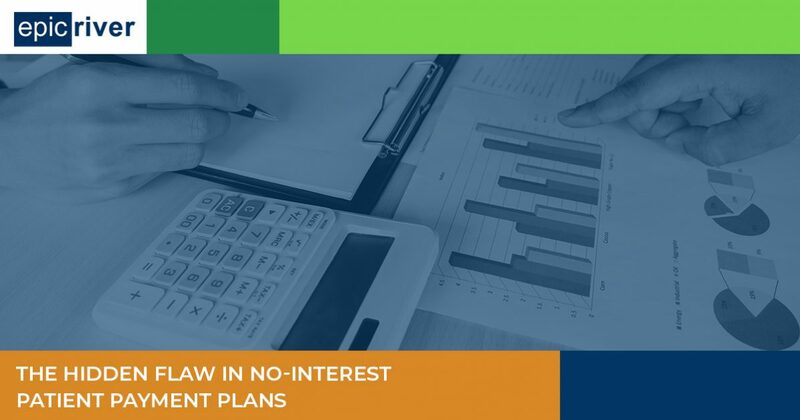 Now that you know the fundamental (and all too often hidden) flaw of no-interest patient payment plans, you may be totally stymied as to what to do next and how to help. Here’s the solution to create better outcomes for you and your patients: low-interest, fixed rate loans via the Epic River Patient Lending program. The benefits are clear: the program is offered at no cost to you, the provider. You get paid for your services upfront and in full. Also, every patient qualifies regardless of creditworthiness. While it’s not a no-interest loan, it’s a low-interest loan that’s not going to end up on a credit card with predatory interest rates. In addition, because Epic River lends money in partnership with community banks, we are able to give access to low-interest money to people who likely wouldn’t be able to qualify for such favorable terms. Unlike credit cards, Epic River patient loans are designed to get patients out of debt while keeping their finances (and dignity) intact. And in keeping with transparency laws, you’ll be able to better serve ALL customers while shaving AR days down over all. Find out more by contacting us today for a brief demonstration of how we’ll connect your patients to local banks for loans that benefit all parties. You remember how we talked about the lose-lose scenario? This one is more win-win-win. You win, your patients win, and lending institutions in your community win. Doesn’t that sound better?